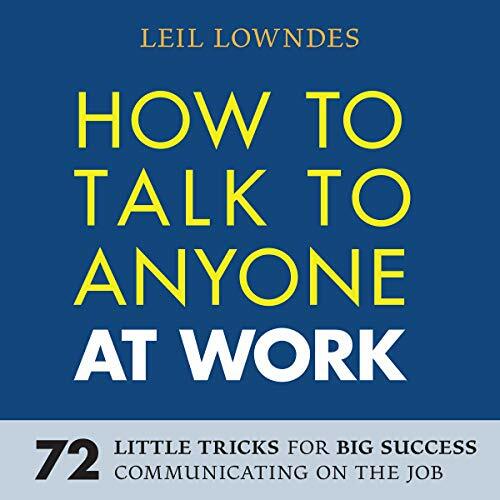 From the bestselling author of How to Talk to Anyone comes a book dedicated to helping business professionals at any level communicate for success on the job. Plus one final astonishing technique to guarantee success and happiness in your professional life. After you’ve mastered the unique “bag of little tricks” in this book, you will know How to Talk to Anyone at Work! ©2019 Leil Lowndes. (P)2018 Brilliance Publishing, Inc., all rights reserved. Probably better to read than to listen to. The narrative/ voice struck me as without emotion and almost mechanical in sections. Also, with the large number of tips, it would be easier to reference back on a paperback.